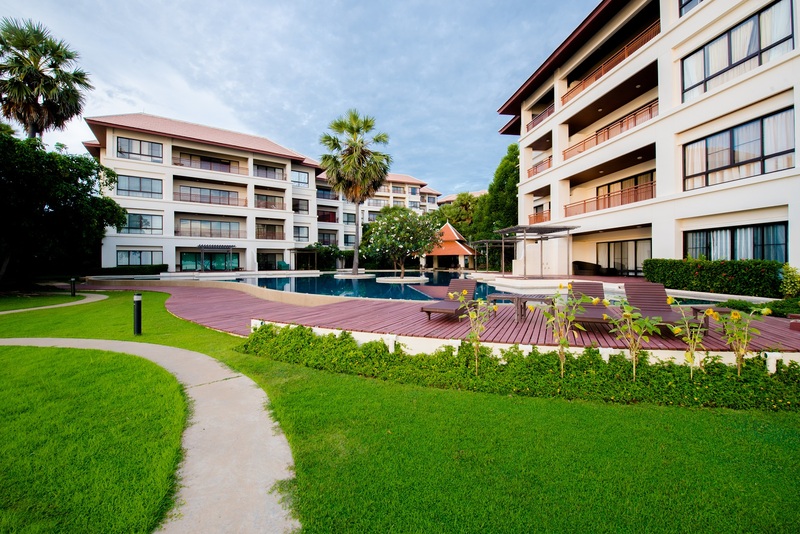 Luxury beachfront condo at the magnificent Santipura Residences in Khao Tao next to beaches, golf clubs, nearby dining facilities and just a 15 minutes’ drive from Hua Hin city with its multitude of dining, entertainment- and shopping facilities. This tastefully furnished and decorated duplex apartment, 284 square meter large, is located on 4&5th floor with views to garden, pool and ocean. The apartment features a spacious living/dining lounge with balcony, fully fitted and equipped European style open kitchen, storage room and servant’s quarters, all this on 4th floor. Upstairs, on 5th floor, there are 4 bedrooms and 3 bathrooms. The spacious master bedroom with ensuite bathroom has exit to a large balcony with view to the Golf of Thailand. Further, find a guestroom with ensuite bathroom and 2 bedrooms with one shared bathroom. Santipura Residences are very professionally managed and serviced. The residents, a broad mix of nationalities, are stable and thus the turnaround in ownership is very low. This luxury beachfront condo in a highly attractive area is offered at a competitive price. Download description at: www.dansiam-property.com/4494527 and mail or call for viewing (+66(0)81-860-9611 (English/Thai) /+66(0)81-820-3496 (English/Scandinavian)). 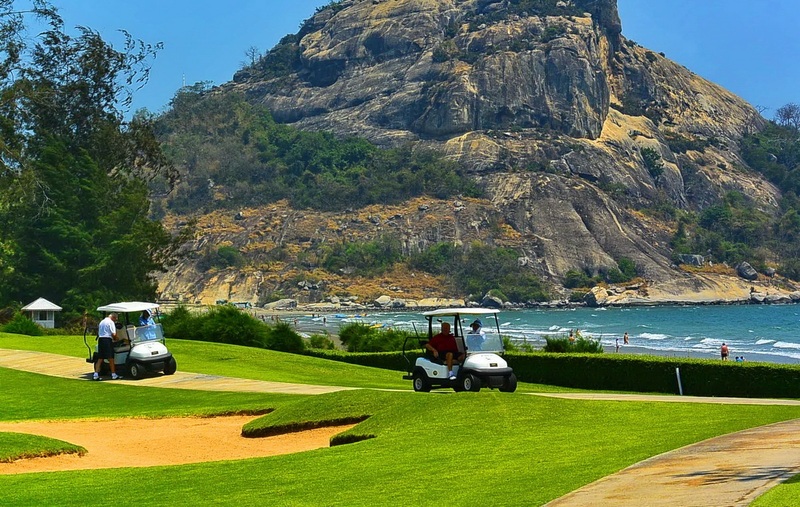 Click to view picture galleries of Hua Hin and Khao Takiab amenities.